Five resource kits from the Cornell Lab of Ornithology and additional materials make it easy for educators to integrate into their schedule. The kits include step-by-step instructions for completing each lesson and resource materials, which may include posters, DVDs, CD-ROMs, laminated cards, games, quizzes, scavenger hunts, trivia sheets and more. 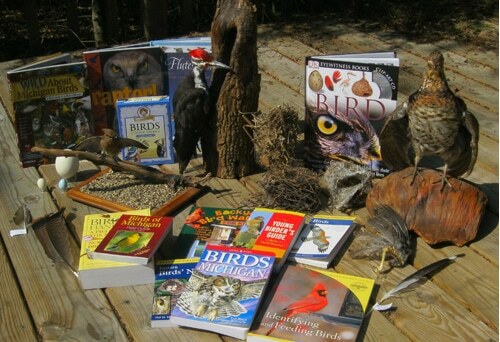 In addition, several books, a DVD, feather examples, egg replicas, nest examples, field guides and two pairs of binoculars are included. This Discovery Box is made possible through generous donations and assistance of LTC volunteer and bird enthusiast Mary Trout. 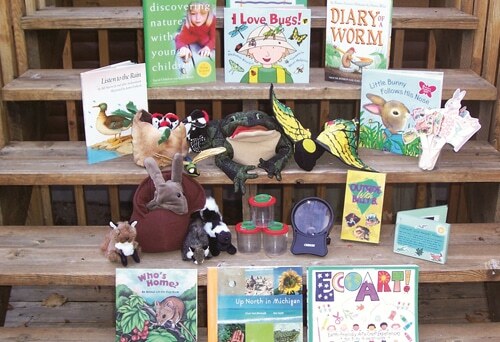 The popularity of our Knee-High Naturalist Programs inspired the creation of a box of environmental education resource materials geared for the 3-6 year old. Full of books, activities, and ideas to help inspire your youngest naturalists, we are looking for feedback from educators who use it. Take a look at a real bat up close. This kit has a bat in the box! At one time this little brown bat was a lively insectivore probably flying around a wooded area near by. Read a fun fiction story about Stellaluna, a little fruit bat, and listen to bats communicate on the “Bat Chat” cassette tape. Other activities and hands-on materials will guide you into the hearts of these incredible winged-mammals. This box is truly a hands-on discovery. With rock samples from all around the globe and easy to read displays, students will quickly begin to see the difference between igneous and sedimentary rock forms. 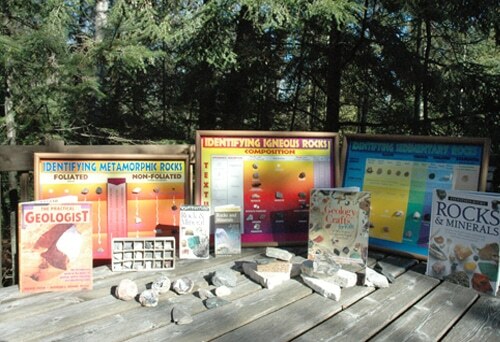 Lots of activities and books will guide you and your students through the fascinating world of geology. 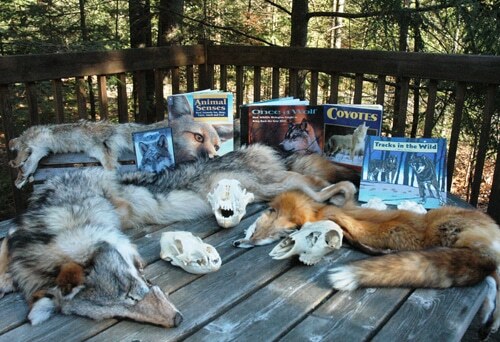 This box includes a large collection of pelts for students to touch and compare. Use them along with the activities included to explore adaptations for camouflage and communication. 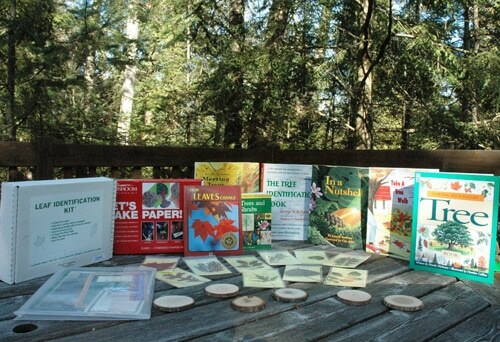 Learn to read tree rings to discern the age and history of a tree, use field guides to identify the trees in your school yard, examine a pencil in different stages of construction, or use the many books and activity guides to excite your students about the forests we often take for granted living here in the north. This box comes equipped with pellets, skulls, life size plaster tracks, books, CDs, a new IMAX video, and a huge variety of activities and information to learn from and use. This box is sure to eliminate all of the myths and fears about wolves your students might have. Pelts and skulls of the red fox, coyote, and timber wolf will allow students to compare the amazing size difference between these closely related canines. 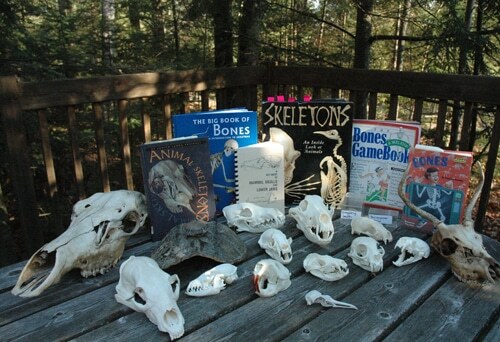 A deer skull is also included to give students an example of predator versus prey. Students are introduced to the amazing world of owls and their adaptations through an American Audubon Society film. A CD allows students to listen to the different sounds owls make and learn which ones might live in their own backyard. 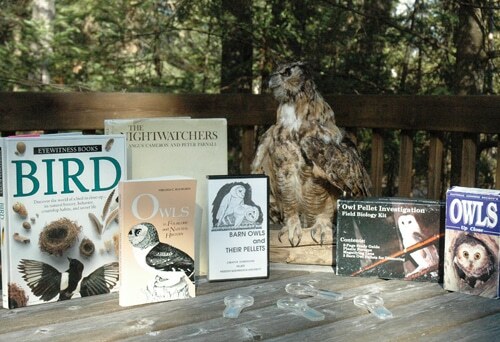 Several other activities help teachers tie owls into lesson plans such as vertebrates and the food chain. Owl pellets are provided for a real “hands-on” study about what owls eat and how different their way of eating is from other animals. Several large and small northern Michigan mammal skulls are packed into one large and one small box-to-go! Every small skull is bagged and labeled for easy teaching and learning. A list of all the skulls is available to guide teachers through identification. This is a great box for introducing predator/prey and adaptation concepts to students of all ages. 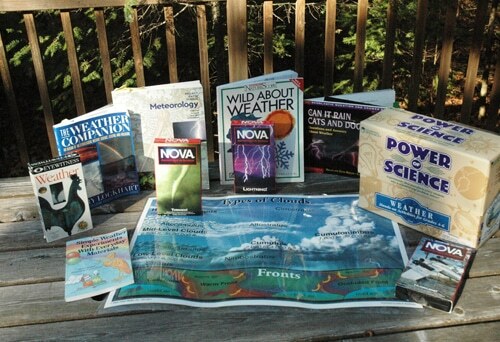 If you are tired of all those blank stares you get from students when trying to teach about weather, this box might come in handy! Fun posters will help you translate the different cloud types, different forms of precipitation, fronts, and layers in the atmosphere. Fun activities will help students make connections they’ll remember for years to come.